Rising more than 8,000 feet (2,400 meters) above sea level, Mayon Volcano is significant for its perfectly symmetrical cone shape. Visitors can enjoy a number of activities here such as camping, climbing, hiking, bird watching and photography. 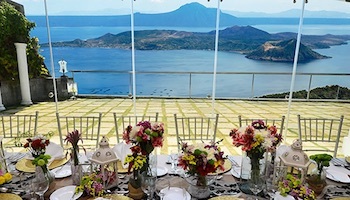 A picturesque spot in which to admire Mayon Volcano is from the nearby Cagsawa ruins. Mayon is the most active volcano in the Philippines, having erupted over 49 times in the past 400 years. The most destructive eruption of Mayon occurred on February 1, 1814 bombarding the nearby towns with volcanic rocks. The belfry and what is left of the baroque church that was destroyed by the 1814 eruption can still be seen. Yeah, there are so many beautiful places in Philippines. 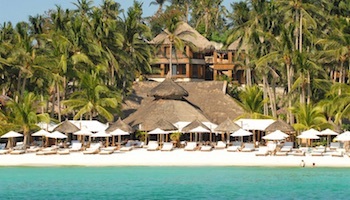 Specially their beaches, I love Boracay white sands and pristine water. 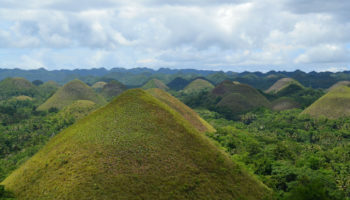 The Chocolate Hills are an example of karst topography. Over thousands of years, the limestone base was dissolved by carbonic acid that was formed by water (rainfall, surface water, underground water) mixed with carbon dioxide. 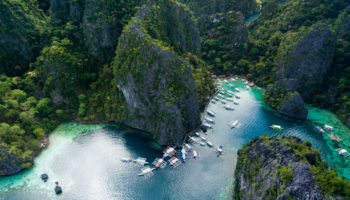 This is also how other similarly awesome topography in the Philippines was formed, e.g., Hundred Islands in Lingayen Gulf, the limestone islets around El Nido, and the Underground River in Puerto Princesa. Kayangan Lake , Barracuda Lake, Sunken Japanese Wrecks, Coral Garden, Banol Beach, Twin Lagoon, Mt Tapyas, Banana Island, Siete Pecados, Malcapuya Island, Skeleton Reef, Black Island, Caluit Island (Animal Sanctuary), North & South Cay Island. Hi guys, Ive went to boracay. It was a blast. We went diving, Banana boat riding, ate fine seafoods and chilling in the bars at night. What makes it so nice is that filipinos and foreigners are so polite and happy being a part of such place. Day and night the place is so colorful and romantic as well. Hope you all can visit there. El Nido should be on the list.. It’s a paradise! I’ve seen the chocolate hills but I really didn’t appreciate it. I went to the Philippines in Oct 2012.El nido was stunning i must say,Bohol i thought was well overated.Anopther must see place if you like history is a visit to Corregidor Island,Fantastic Island off Manila,Im going back to El nido in Oct 2013.Might take in Coron this time too and Taal volcano. CORON is the best! i’ve been there so many times, and planning to go back again… hmmn.., i wonder why it is not here?? Absolutely right I’m so proud of our beautiful tourist spots at Philippines mostly Boracay u will be very enjoy the cool ambiance nd if ever u like some cold places u must visit the Bagio the Tagaytay nd others. You will love the veiws of Hundred Islands too! Try to visit also the Cebu, Davao, nd Palawan nd ofcourse the Manila where there’s a Museum ,MOA nd Cavite nd Laguna our historic places!!!! I love the Philippines. been There 4 times. My favorite is palawan. Wow. Nice list. These are the popular ones but a lot out there are still hidden or unknown to many such a Isla de Gigantes, Palui Island, Calaguas Group of Islands, etc. 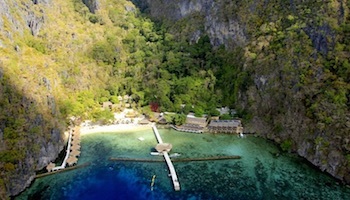 El Nido and Coron in Palawan ar also worth a mention. Im thinking about going to the philippines but would like to know if its an exspensive destination to visit? Im not looking for glamorous accommodation but something decent, does anyone know what pricing is like? Thanks. Thank you for featuring our country, the Philippines. 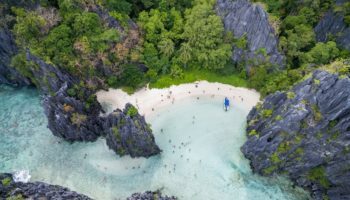 The places included in the list are indeed beautiful, I’ve personally been to 6 of the 10 listed in here, but touring the Philippines need not be limited to these places alone as in almost every province there’s something to see (I haven’t been to every province but given that the Philippines is made up of 7107 islands, there’s bound to be different things to see :D). As for Paul, the Philippines is not an expensive place to visit, especially if you want to visit the provinces (where most of the places listed are located). There are many decent accommodations that cost 10-15 usd or less (includes meals already). And if you want to slum it, the cost will definitely be cheaper. 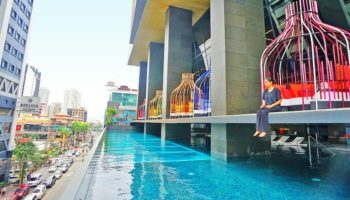 Most of these accommodations can be contacted via email or through their website, and you can also purchase via booking sites because sometimes they have promo prices. Hope this helps! Have fun! Aurora is also one of the best and cheapest place to visit in the Philippines. Province of Senator Angara. One of the best tourist destination is El Nido and Coron, in Palawan. These 2 destinations are just a small town but what makes makes it unique and different from other places is its natural inviting crystal clear waters in diverse and full of marine life lagoons, caves, lakes and beaches. Priceless experience, tiring but worth it to be in these places. U must visit also mindanao part.esp surigao del sur.the tinuy an falls.enchanted river.etc. 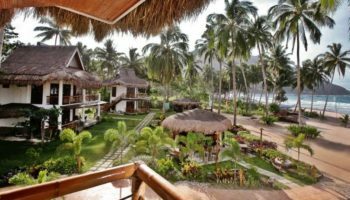 For me?,boracay is the best, not just because it is a tourist destination, but also of white beach,and there are also many ita or negrito tribes.come on visit boracay and explore the beauty. boracay and elnido are the best! elnido,coron and boracay are the best! Yea. Philippines Rocks! and Boracay is the number 1! I know a tourist attraction in Cebu. They call it “The Sardine Run” and “The Diver’s Spot”. 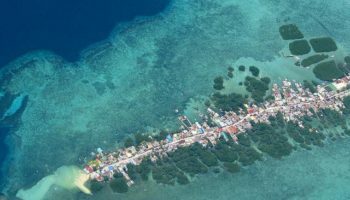 Its called Pescador Island. There is a lot more unexplored places you can visit in the Philippines. Imagine having 7107 islands, for sure there will be some small place that you will miss out. One of which is CARABAO ISLAND. A very nice place to visit similar to BORACAY but without the bars. A perfect place for people who wants to have a quiet place to stay. the philippines is really blessed.. beaches,natural parks.. WOW! i hope more Filipinos will visit them someday. Hi guys, thank you very much for sharing all these beautiful tourist spots in our beloved country The Philippines. But you should go and visit Iloilo and Guimaras island too, the beaches there are superb, like Boracay it is also a fine white sands. It is very safe place clean and not polluted. People there are very warm,friendly and sweet. 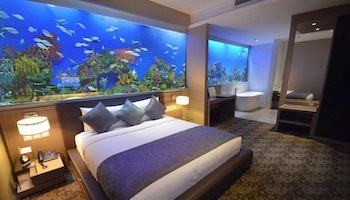 And foods and accommodations there are cheap and really good too, specially fruits and seafoods. You must try to go there because it’s gonna be an unforgettable experience and you would want to go back, for sure. Nice to see all the beautiful and irresistible places in the Philippines. .Mambukal in Negros Occidental must be here..with its stunning and unforgetable water dripping down..
Ive been to 6 out of 10 tourist spots in this list.. But EL NIDO, SAGADA, and GUIMARAS… Are my favorite. Been to 6 out 10 places . Haven’t been to ‘Malapascua, Tubataha, , Chocolate Hills and Rice Terraces. 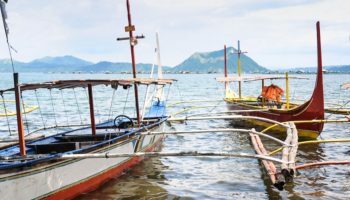 I agree with some of the comments here, Coron Island should be included. The places not miss there are the following, Kayangan Lake, Twin Lagoon, Barracuda Lake (fresh hot and cold water), you can see the thermocline. Mount tapyas (hill with hundreds of stairs to view sunset). Hot spring (need to pay), and of course Wreck Diving . I have a diving license so this is the place to be. Donsol with Whale shark is also a must see and experience. Thank you for sharing the beauty of the Philippines. This may I will be in Donsol to experience whale shark watching. This is so exciting. Batanes is not included? El Nido and Batanes are tied at no. 1 spot!! To all the people that look and read these lists, I grew up in the philippines but I lived now in California I go back to Philippines often. I must say and I’ll repeat it again I must say that there’s a hundred hidden gems in the Philippines that most people don’t know you have to know someone that know where to go and I guarantee you, you will be amazed, guaranteed. Why the Batanes were not mentioned as tourist spot of the Philippines. You know the Batanes is one of the most wonderful place in the Philippines where you can relax, enjoy and has a peaceful and hidden beauty.